Before you start on a new venture, you need to have comprehensive plan that will guide you and give you specific directions as to the steps you need to take. You cannot simply proceed making significant decisions and pursuing difficult tasks if you do not have enough knowledge about what you are about to do. Therefore, regardless of the type of tasks, ventures, activities, projects, etc., you would like to pursue, it is always better to have a strong sense of direction and purpose. Even simple tasks can have a higher chance of succeeding and producing good quality output if specific instructions and a guide is present. For example, you would like to redecorate your entire house. In order to cost-effectively do so you will need to make a plan that suits your budget, time, manpower, and so on. Your plan will reflect the changes you need to do in a specific room, what furniture to replace and keep, how the room will be arranged, and so on. Having a plan specifically tailored for the task at hand will help you efficiently complete the said task. It will guide you and help you maintain your focus. With the given example above, even tasks attainable by simple individuals will need a plan, how much more with tasks, activities, or projects by businesses that involves huge amount of money, time, and effort? Thus, with this article, the importance of a project plans as well as how to make one will be discussed. 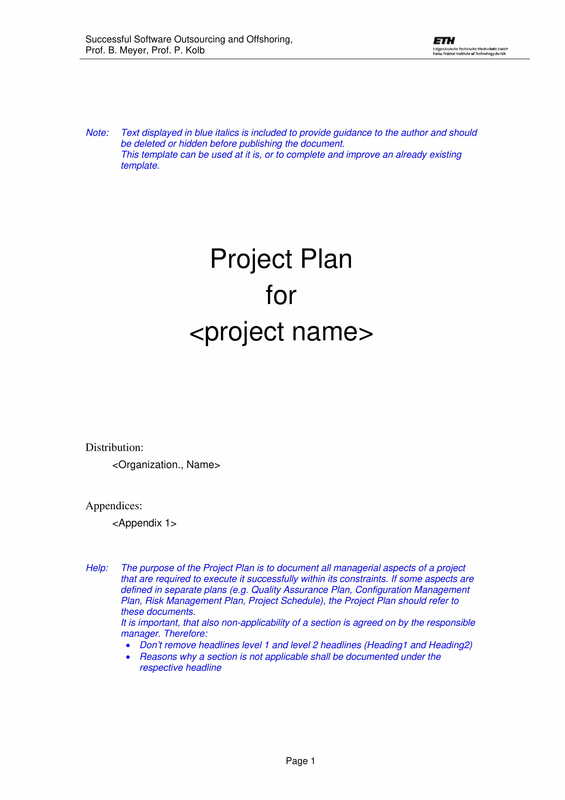 What Is a Project Plan? 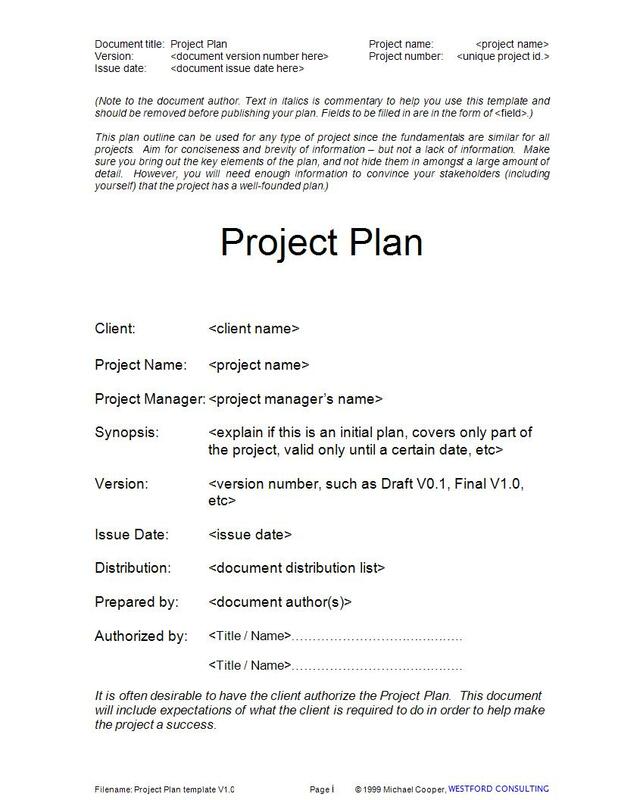 A formal document that is intended to guide the control and execution of a project is called a project plan. A project plan is the most important aspect that leads to the success of a certain project. 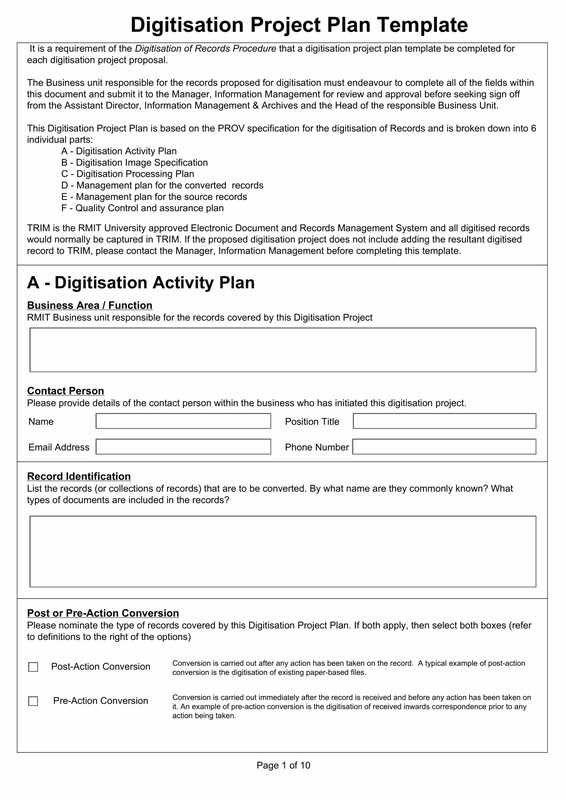 It is also considered as the most significant document that needs to be created when starting a business project. It helps in making sure that every material is accurately procured, every significant steps and procedures are taken, every issues are addressed, etc., in order to successfully complete a project. It is a guiding document and gives the individual/s in charge of completing the project a strong sense of direction. In addition to that, the project plan also includes the processes that are necessary to undertake in order to ensure that a deliverable is completed and delivered to the client. It does not merely touch on the project schedule, it includes every little detail you do to set up your project for success. In order to keep track of elements pertinent to the tasks, the project plan may include various documents that record such information. 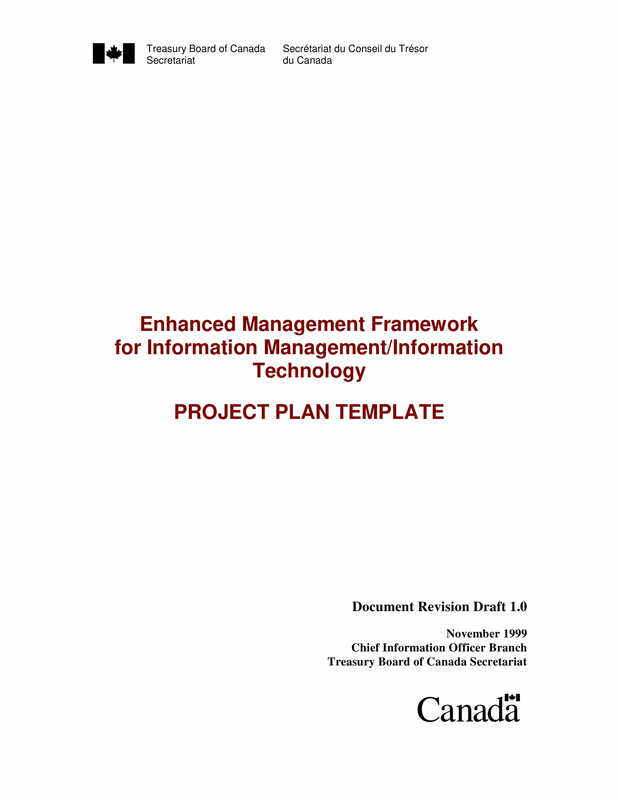 These elements include the project scope, schedules, resources, and financial information. A project plan is also commonly called the project management plan, and as mentioned above, it will help in determining the scope of the project as well as its goals and objectives. Not only will the project plan guide the individuals in charge of the project, it will also help them keep track of the steps they have successfully done and the next steps they need to take. It also keeps them aware of the progress they have made throughout the day. Therefore, a project plan is an essential document that will help in the success of a project. Projects can run smoothly if there is a plan to refer to. It helps in delivering projects on time and on budget. It helps everyone involved in the project to have a mutual understanding of the project objectives. Makes everyone understand the roles they play in achieving those objectives. It ensures that time, costs, and risks are managed better and effectively. 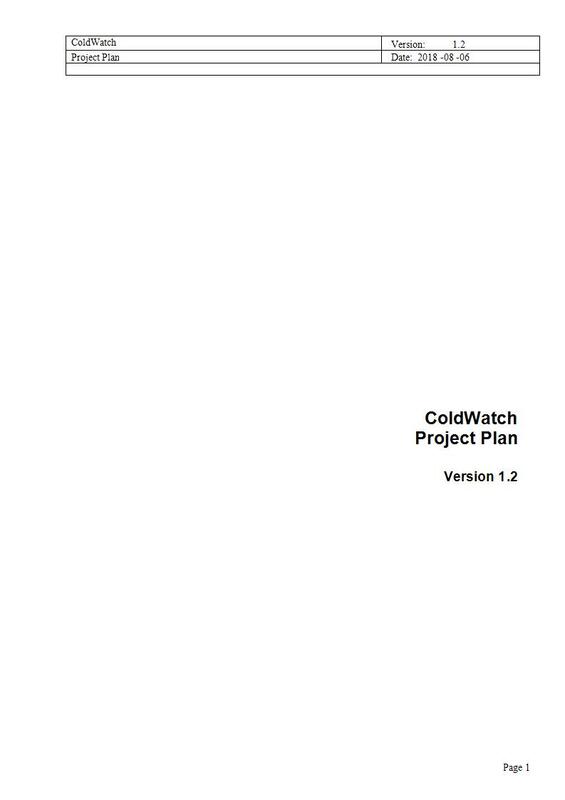 Through the project plan, there is an early warning system in place: Monitoring progress against what is reflected in the plan can help in the identification present deviations that could hurt the project. It gets all the relevant thoughts down on paper helping in breaking down the project into manageable chunks. The term stakeholders mean anyone affected by the project. You need to be able to clearly identify the stakeholders for your project so that you can accurately provide for their needs. After identifying them, you need to meet them, write down and prioritize their needs. However, make sure that you lead the conversation to the same goal. Avoid letting your stakeholders distract you so that you can have list of objectives relevant to the project. You create the project’s objectives based on the needs of your stakeholders. The objectives need to be specific, measurable, attainable, realistic, and timely. Your objective should be specific so that you can easily track the progress you make. Being specific will also give you a clear projected path of what you want to achieve. In addition, make sure that the objectives you set are attainable and can be recorded and tracked. The deliverables or outputs that you need to submit to your client should be specific. In addition, it should also have a deadline. Having vague descriptions for the deliverables is setting yourself up to failure, that is why the meeting and discussing to them what they want out of the project is very important. Deadlines for these deliverables also mean that you are working on a limited number of days. Setting up deadlines will encourage you to work twice as hard while still keeping in mind the quality of your work. The deliverables, tasks for each deliverable, due dates for each task and deliverable, and who will complete them are all important details that should be included in the project schedule. This will reflect what are the necessary steps and processes needed to complete the task, who is in charge of completing said task, when it will be due, and so on. This will help guide all those involved so that your deliverables are submitted on time. The people that work for the project should be able to understand the role that they play in the project. They should be able to clearly understand what falls under their responsibility. This will make all of you avoid confusion with the tasks as well as redundancy in the process. If the roles and responsibilities for the designation/position of each individual involved in the project are not indicated, there will be utter chaos since no one will know what they have to do. Providing a clear set of instructions and definition of what they should and shouldn’t do will guide them effectively. Regardless of the type and purpose of the plan, it should specify up front costs so that you can allocate budgets and identify shortfalls. It should definitely include what causes can make for additional costs. Aside from that, you should also have a plan for monitoring and controlling costs. This will help you remain in budget and may include regular team meetings and meetings with the client to discuss the possibilities of going over budget and making them understand that it is unavoidable. Good communication has a significant success on any project. There should be proper communication and coordination when there are changes to the plan. In addition, you should openly communicate with your client when you need their input about certain aspects of the project. You should specify how will you communicate with your client, how often will you update them, etc. There should be a unified system used in tracking and managing the project. That way mistakes can be avoided or at least easily resolved. You have to find the best way to communicate with your team and the client so that miscommunication does not occur or can be avoided. This will help all those involved to have a better way of keeping track of the progresses and changes on the project. 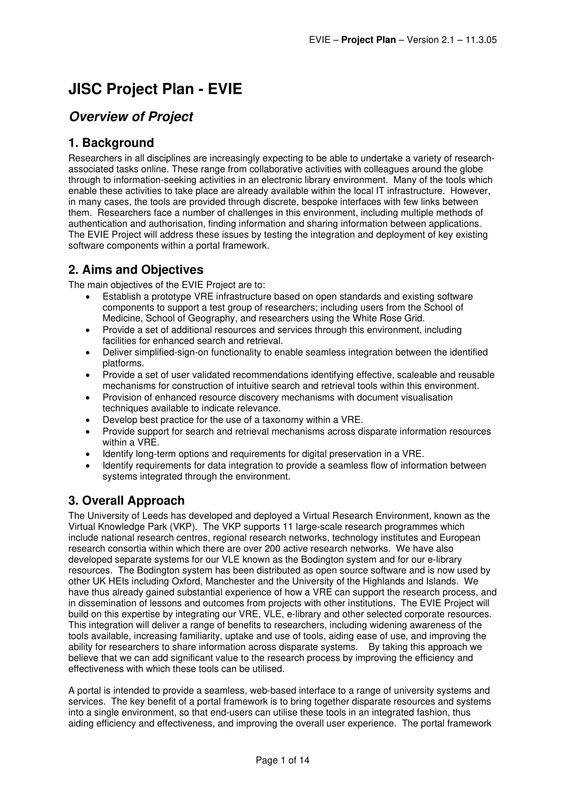 Understand the scope and value of your project plan. Conduct a comprehensive and extensive research. Ask the right and tough questions. 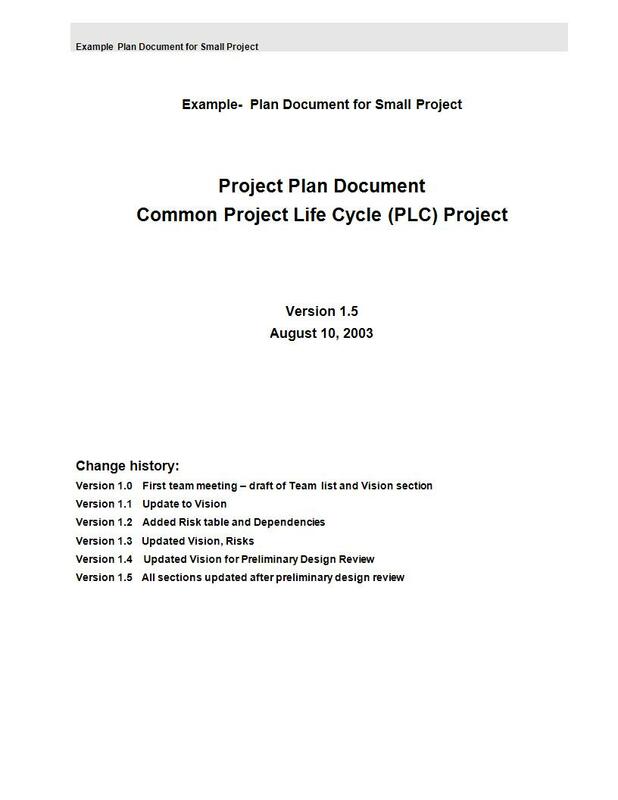 Create clear and accurate project plan outline. Discuss your project plan with your team. 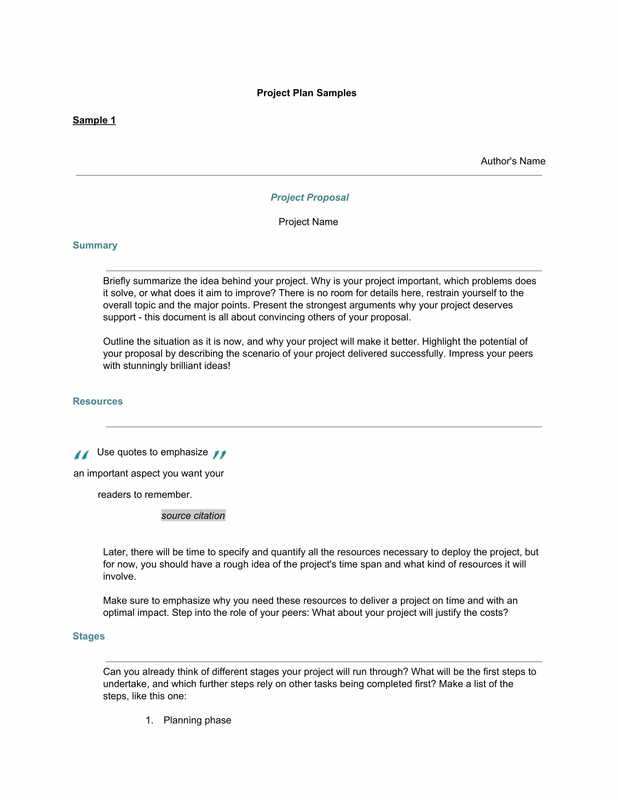 Write your complete project plan. Execute your plan using tools that makes it easier for you. Publish or print out your plan. Share your plan with the team and make sure they read it. 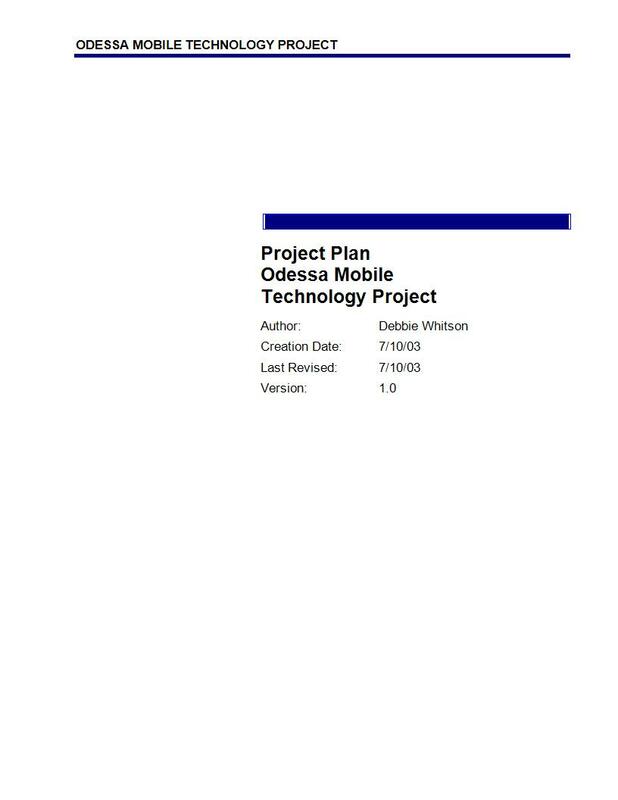 A project plan is an essential document that can help determine the faith of our project. With the scope of the information you have included in your project plan, it can either lead you to success or failure. However, it is important to remember that planning your project must mainly base on what your stakeholders need, therefore, conversing and recording what they want to achieve is your key. In addition to that, your project plan will help not only you but also your entire team as well as your stakeholders. This will guide all of you the right direction in order to achieve your goals and objectives. 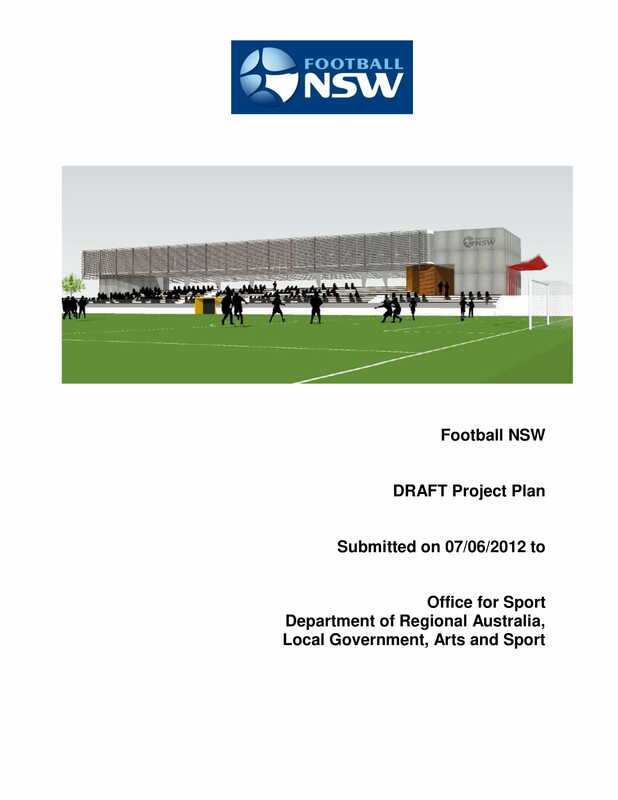 We hope that you have learned significant information about project plans through this article. 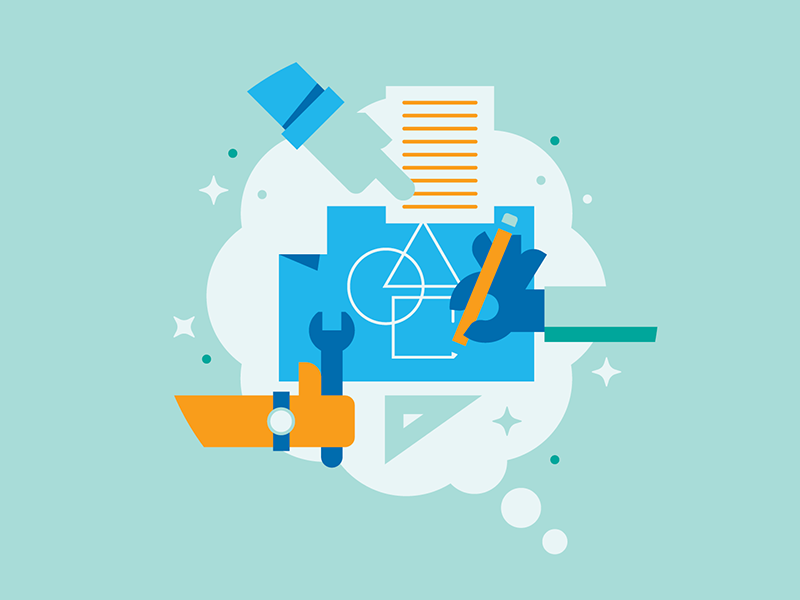 What Should be in a Project Plan?